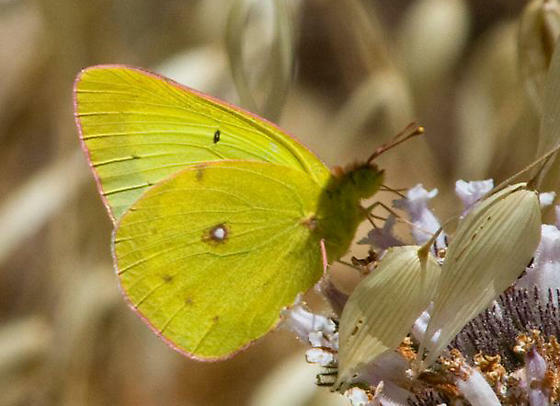 I would say Colias harfordii. It is very similar to both Orange and Clouded. Clouded is unlikely in that area, and this doesn't look quite like an Orange to me. The dark band showing through from above is a bit wide for C. harfordii, but not unusually so.